Pop music and patience are two concepts that don’t tend to play well together. The drive for most songwriters in the broadband era is to grab listeners quickly and keep them locked in. All the better to keep those streaming numbers rising and the fractions of a cent adding up. 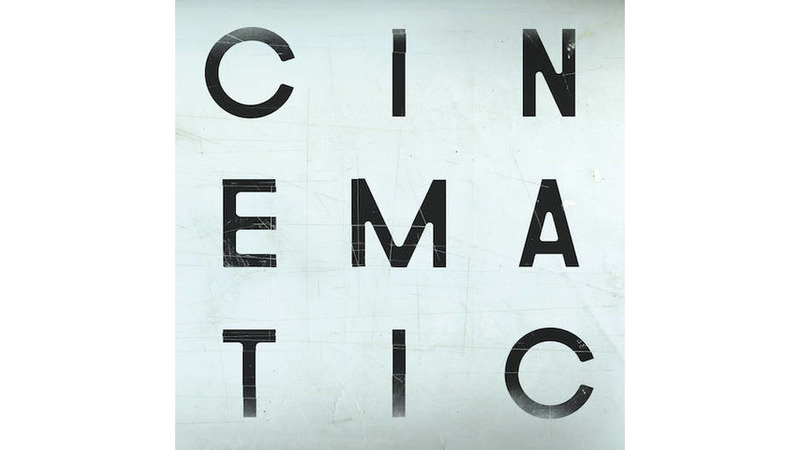 That’s never been the bailiwick of The Cinematic Orchestra. Though they’ve long worked in and around various strains of electronic music, the men behind the music—Jason Swinscoe and longtime collaborator/friend Dom Smith—take their chosen moniker seriously. They want their albums and performance to have the grandeur of an epic film score, setting the emotional timbre of an imaginary scene while laying little melodic traps to snare the consciousness of the viewer/listener. That quality is ever-present on the Orchestra’s fourth proper studio album. To the point that it might not be worth mentioning were it not for the fact that it is the first full-length that this project has released in 12 years. Lesser writers would likely have announced their return with something immediate and grabby. Credit the Orchestra for knowing that they’ve built up enough of a fanbase and cultural cache to allow them to stick to their original m.o. with the release of To Believe, a seven-track journey whose songs feel like slow, calming breaths. It’s also a course of action that might not work so well in our modern age. With the news cycle, even in the entertainment business, quickly resetting itself on a daily basis, it is the rare album that survives the churn. For all its remarkable qualities and beautifully unfolding music, To Believe seems likely to get swept away. But, again, this music isn’t built for fleeting joys. Smith and Swincoe are trying to create music that lasts, even as it pays heed to modern musical trends like the U.K’s broken beat scene, future pop and the still dominant sound of hip-hop. It’s rather remarkable how they are able to fold those elements in without coming off as dilettantes. The stumblebum rhythms on “A Promise” don’t appear in the frame until the 11 minute song is nearly halfway done. And they surround Moses Sumney’s slightly raspy vocal performance with a backdrop of strings and floating acoustic guitar rather than try and keep up with the expansive work the singer does on his own albums. Moments like those are nods of respect instead of attempted assimilation. What doesn’t survive even the most patient, close listen is the album’s core message. In interviews, including one with Paste, the concept was, apparently, to explore “questions of consciousness and belief and faith.” Tasked with that, the vocalists on To Believe translated those questions as a call to simply place one’s faith in another person, especially a lover or partner or friend. “Tell the world that saw you head for hell/I can be your something to believe in,” Sumney sings on the title track. Or as British soul singer Tawiah puts it on the swaying “Wait For Now/Leave The World,” “take my hand and see where we could go, when you take the leap.” A natural reaction, perhaps, to the many institutions that have failed the citizens of the U.K. but it feels like a missed opportunity to dive into some true philosophical inquiries. That might have been a bridge too far for an act that already willing messes with the formula of pop music. They already ask us to follow them on a slow path colored by skipping, jazzy tunes like “Lessons” and deepened by the rich drones and humming strings of “The Workers of Art.” Trying to crack open a conversation about epistemology in the process is asking a lot of folks that might otherwise set this album running in the background.